Evan and I spent yesterday afternoon at Mark’s shop, making shavings with a variety of Lie-Nielsen planes, a Veritas smoother, and a couple of vintage Baileys. We explored the difference between Lie-Nielsen’s A-2, Stanley’s O-1, and Lee Valley’s PMV-11 blades. There are a lot of choices out there in the new tool market, some of them with a rather hefty price tag. One advantage is that most of today’s new tool come ready to work. 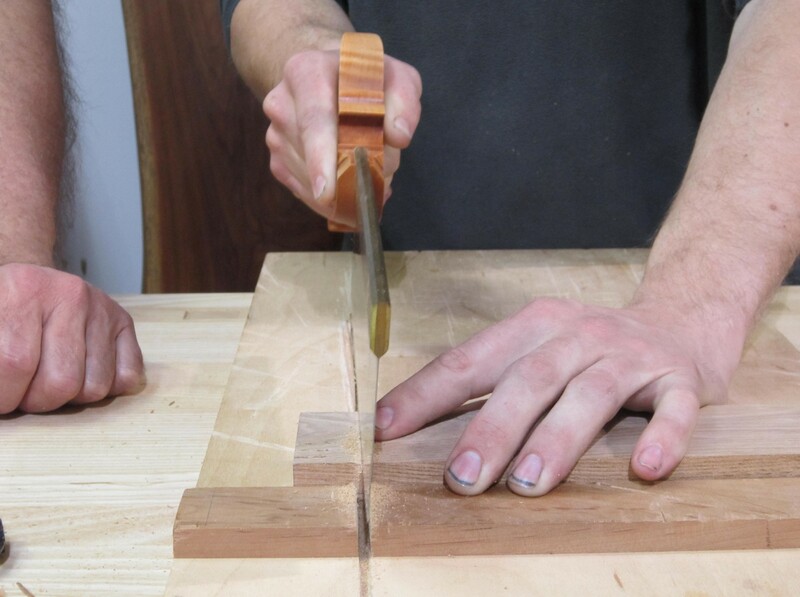 This is not the everyday shop experience: the opportunity to use and compare bench tools, and workbenches, set up and sharpened properly. Vintage tools are rarely plug-and-play. They often require more than cleaning before they can be put to work, and while they can be wonderful to use, some of us don’t have that much spare time. I spent most of last week tuning up a selection of wooden planes to make a small box, a couple of jack planes, a small beechwood smoother, several rabbet planes and block planes. Mostly, to make the point that it can be done that way. A few old tools, carefully restored, will make the basis of a woodwork shop. 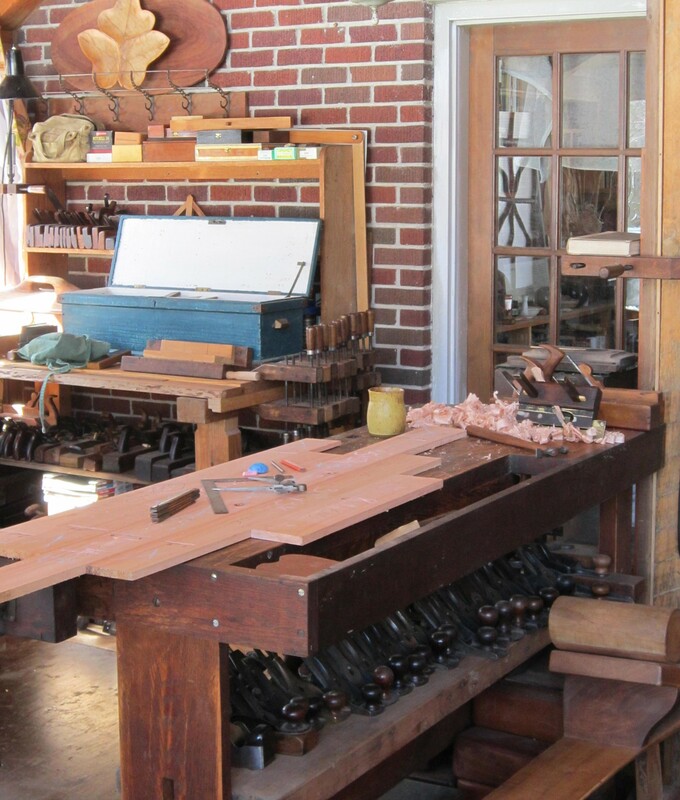 The bench is some thirty years old; that early nineteenth century French-wedged plow plane has been gathering dust for years, and now it’s all tuned up. Let’s put it to work. Great post. What do you consider to be the basic elements/tools for a wood working shop then? Thoreau’s knife…Depends whether one’s major limitation is imagination or bank account (design skills not included). There are sources for quality tools, antique and new, that didn’t exist 20 years ago. What we need is an active marketplace to support honest local craft. That’s what we’re working on with ArtizensBank, looks like somewhere outside Fayetteville is going to be our best chance. Mark has an awesome shop. 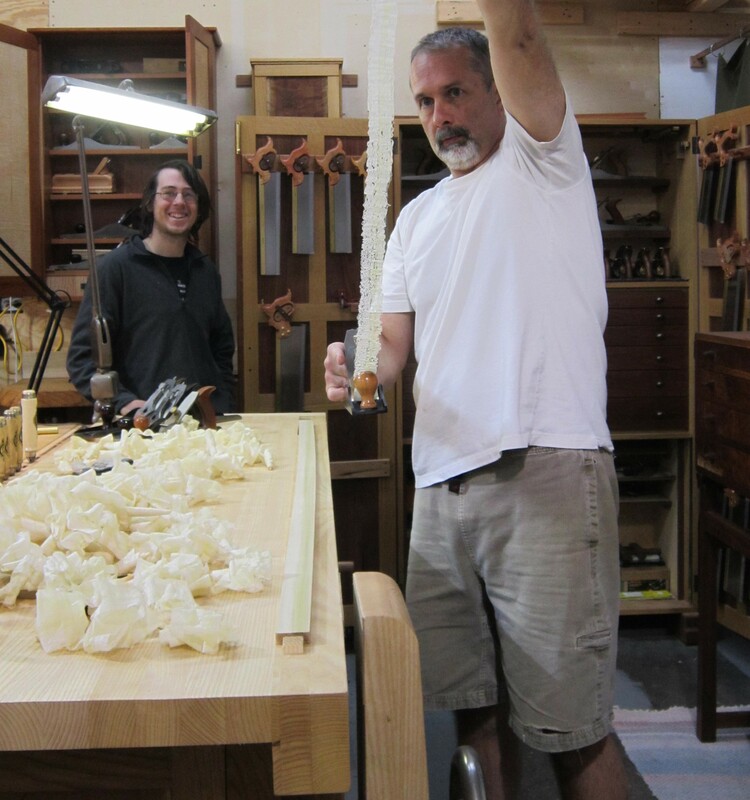 Our next visit is to Matt Ross, who has been collecting and using Japanese tools for the past 20 years.